In April 2012, the Australian Government declared the Koala as ‘VULNERABLE” under the Federal EPBC Act in New South Wales, the Act and Queensland. Victoria and South Australia were excluded from the listing. 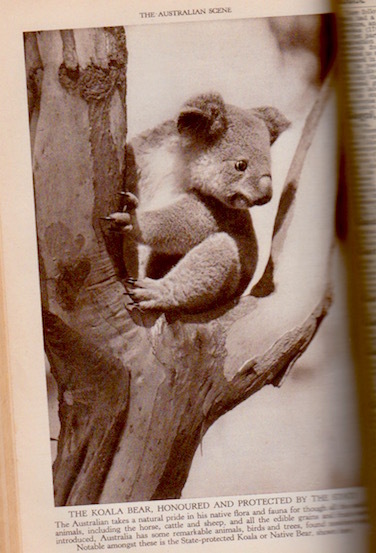 The AKF believes that the Koala should have been listed in all States. Research conducted by the AKF strongly suggests the Koala’s conservation status should be upgraded to “CRITICALLY ENDANGERED” in the South East Queensland Bioregion as the Queensland Minister for the Environment has declared them to be “functionally extinct”. Australia's koala population faces extinction across large parts of New South Wales and Queensland as urbanisation, land clearing and climate change threaten the vulnerable species' habitats. Experts are warning of an "unfolding tragedy" which could see koalas wiped out of regions including the Koala Coast south-east of Brisbane, and the Pilliga Forests area in northern NSW. Populations close to Byron Bay, Ballina, Port Macquarie and Gunnedah in NSW are also under threat, while koala numbers in regions near Mackay and Toowoomba in Queensland have suffered declines of up to 80 per cent. The Australian takes a natural pride in his native flora and fauna for though all the useful animals, including the horse, cattle and sheep, and all the edible grains and fruits were introduced, Australia has some remarkable animals, birds and trees, found nowhere else. Notable amongst these is the State-protected Koala or Native Bear, shown above. What happened? Humans! We don’t really care. We don’t care about anything else but ourselves. The present status of the Koala, except those in zoos that are sometimes wheeled out to pee on visiting public figures, is horrible. Something has to be done about this situation. An end to “development” in areas where there are still some wild koalas. A few points though: First, the koala isn’t a “bear”. Second it is not protected by the State. Third, Australian is made of he and she… Come on Australians! Wake up, your koalas are being killed liked vermin and soon there will be less of them than Pandas, which is a real bear, for which you give to WWF some cash… It’s time to save the koala from our greedy paws. We need State laws that prohibit DEVELOPMENTS, CONSTRUCTION and DEFORESTATION. THE KOALA, HONOURED AND PROTECTED BY THE STATE. State and Federal laws that prohibit DEVELOPMENTS, CONSTRUCTION and DEFORESTATION. Queensland koalas have been translocated under the guise of "scientific purposes" without any evidence of resultant scientific studies. Sue Arnold reports. THERE ARE OMINOUS signs that the Queensland Government may soon adopt translocation of any koala colony as policy, to ensure developers are not hampered by any necessity to protect habitat. The Queensland Government’s approval of a major translocation of koalas from Coomera to distant conservation areas is regarded as the largest translocation project undertaken in Queensland and New South Wales. As the purpose of the project was to facilitate the development of the Coomera Town Centre located in 900 ha of prime koala habitat, the translocation contradicted any suggestion that “scientific purposes” was the raison d’etre. Nevertheless, scientific permits were issued by the Government to allow the project to proceed. As virtually all relevant documents giving approval to the translocation are unavailable on the public record, Right to Information (RTI) requests are the only way to dig into the closet of this “transparent” Government. In an email seen by the ABC that addressed similar logging nearby, VicForests' staff acknowledged deaths were likely. "It is unfortunate that some individuals have to die in the process, but we really need to look at the big picture here," a VicForests ecologist wrote. And when asked if gliders that survived the initial logging would die when VicForests burnt the leftover wood, the company's manager of biodiversity conservation Tim McBride said: "Yep, that's a very likely outcome." Greater gliders are known as the "clumsy possum". Conservationists have said the oil company Santos has not addressed questions about how its proposed 850-well Narrabri coal seam gas project in New South Wales would affect threatened species. Two new reports, including one by a former ecologist for the NSW environment and heritage office, say the company had not adequately responded to submissions which raise concerns about animal and plant surveys Santos conducted for its environmental impact statement. Santos’s formal reply to more than 20,000 public submissions was criticised by opponents when it was released earlier this year. David Paull, a consultant ecologist who was employed by the NSW government, wrote a response disputing Santos’s findings that endangered box gum woodlands were not present at the project site and that yellow box was either absent or “occurs at such low abundance to be meaningless in terms of plant composition”. Paull said the company had also failed to conduct surveys for stygofauna, which are species that help purify groundwater, despite a recommendation from the independent expert scientific committee that it do so. Matthew Webb and Dejan Stojanovic, two of the Eureka prize finalists from the Australian National University’s difficult bird research group, say governments have stalled on management plans that would protect known feeding and nesting habitat in Tasmania. The researchers analysed logging in Tasmania’s southern forests during the 20-year course of the previous regional forest agreement. Wildlife watchers are in a flap after one of Australia's rarest species of bird, the regent honeyeater, was spotted three times in Queensland in recent weeks. Urban development and drought have destroyed the habitat of the critically-endangered bird and its population is believed to be as low as 400 in the wild across Australia. The bird is extinct in South Australia and western Victoria, but is found in woodlands west of the Great Dividing Range. The three sightings near the Queensland coast have the Australian birdwatching community excited, but also concerned. Special tunnels, bridges and fencing are failing to save New South Wales' dwindling koala population from speeding traffic, the state's "road kill" files reveal. One tragic incident recorded on video shows an injured koala trapped in supposedly wildlife-proofed tunnel, unable to crawl to safety as traffic roars past. As tunnel operators try to organise a rescue, a semi-trailer driver ignores flashing warning signs and crosses into the closed lane, killing the koala. The video is part of the State Government's "road kill" files and was obtained under freedom of information laws from NSW Roads and Maritime Services (RMS). The files show where koalas are being killed around NSW, and includes five years of incident reports from the Pacific Highway, where 68 koala deaths were recorded. The video, from 2017, was recorded in the St Helena tunnel, near Byron Bay on the state's north coast, where koalas are listed as "locally endangered". An incident report about the rescue operation tells how an RMS tunnel operator spotted "something flapping" on a surveillance camera. After zooming in, the operator focuses on the injured koala. According to the report, the operator activated LED signs commanding drivers to stay in the left lane, and then made urgent calls for wildlife rescue volunteers to attend. People are being encouraged to 'adopt' a koala this Christmas amid ongoing concerns about their severely declining numbers. The Port Macquarie Koala Hospital on the mid-north coast of New South Wales is the only facility in the world dedicated to the care of wild koalas. The hospital rescues, rehabilitates and, where possible, releases koalas back into their home territory. The not-for-profit organisation costs about $650,000 per year to run and receives more than 100,000 visitors a year. Across NSW koala numbers are dwindling, their disappearance partly blamed on land clearing. Their survival will be an issue for some NSW voters on Saturday, with land clearing sparking a number of questions from ABC readers. It is reflected by internal Labor and Coalition polling placing the environment in the top five issues for voters for the first time in a state election. Of the more than 2,000 questions submitted to the ABC's "You Ask, We Answer" series, almost 300 concerned environmental issues, with 85 specifically focused on land clearing. It is an issue people are talking about ahead of Saturday's poll.